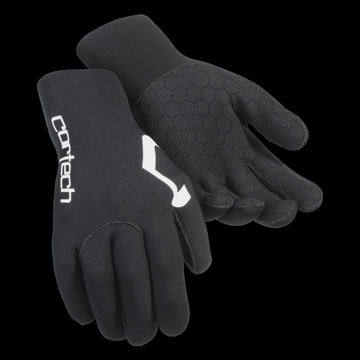 Great for the campsite or as a base layer, this 100% Neoprene glove will keep you warm. • Honeycomb grip in the palm and fingers. • Outer-Stitched fingers and palm for added comfort.